When Josh is away, we all sleep in the same bed. Oh well sometimes I do wonder if I would be more comfortable on the floor. 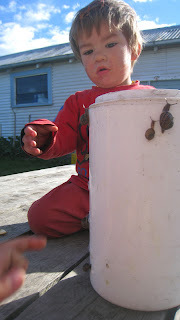 Collecting snails. Monsters love snails.